This year's rivalry between Abi Archer (Chaparral, Sr.) and Samantha Schadler (Rio Rico, Sr.) was incredible to watch and both of them had phenomenal cross-country seasons respectively proving dominant in almost every one of their races. While Archer raced sparingly and only dropped the hammer when necessary, Schadler ran a total of eight races this season and out of those eight she pulled five victories. Both Archer and Samantha would cap off their final interscholastic cross-country seasons with State Titles in Divisions 1 and 3, respectively. Just one week after the AIA State Championships, the recently crowned State Champions rerturned to Casa Grande, for the Nike Southwest Regionals in the hopes of qualifying for nationals. Schadler took the victory with a PR of 17:06, followed by fellow Arizonan and D2 State Champ Hana Hall (Flagstaff, Jr.) and Archer taking 3rd place. 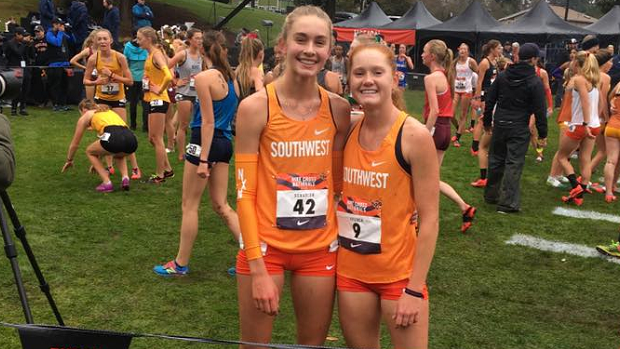 At Nike Cross Nationals, Archer and Schadler would claim All-American status by finishing 10th and 20th respectively as the top two finishers of the Southwest Region. 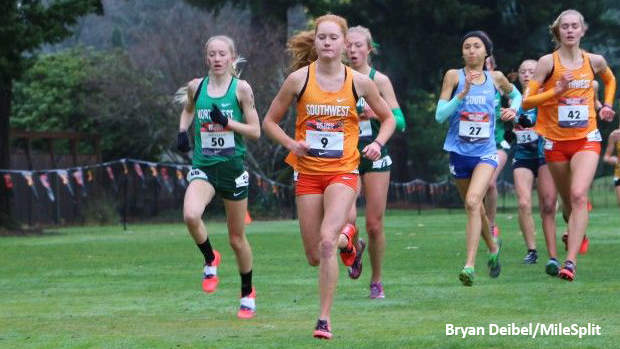 Check out what they had to say regarding their NXN experience. I could feel the nerves of those around me as I warmed up, and I tried to calm my own and maintain perspective. After introductions, it was a quick moment before I was lined up with a group of the best runners in the country. I was surprised to find that I felt a calm confidence as I toed the line. The next 17 and a half minutes were a blur. Running with such a strong field of competition was extremely motivating and pushed me to perform. The mud and grass were challenging compared to the dry courses at home but it was incredibly refreshing to be racing in a completely new environment. It helped me forget my preconceived notions about how well I could do relative to others and simply focus on running relaxed. I fell into a rhythm and I worked on closing gaps ahead of me. When I crossed the line, I didn't know I had just become an All-American with a 10th place finish. I was just extremely content with how the race had gone and how far I had come in the last four years. When it was finally time for introductions, we left the friendly warmth of the Village and stepped into the chilly Portland air. Clacking our way along the cart path to the introduction area we held hands with our teammates and approached the line. After introductions we jogged hurriedly down to the start line to double check our spikes and do our final strides of the season. Within minutes… BANG! We were off. A streak of colors and a whirlwind of shoes, cheers, and fast braids was off sprinting down the fairway. In less than 20 minutes we would all be across that finish line, heaving, exhausted, and crying tears of joy, pain, and relief. The race was over before I knew it and as predicted the joy, pain, and relief were all present. But I had fulfilled Nike's famous mantra: I had finished on empty.